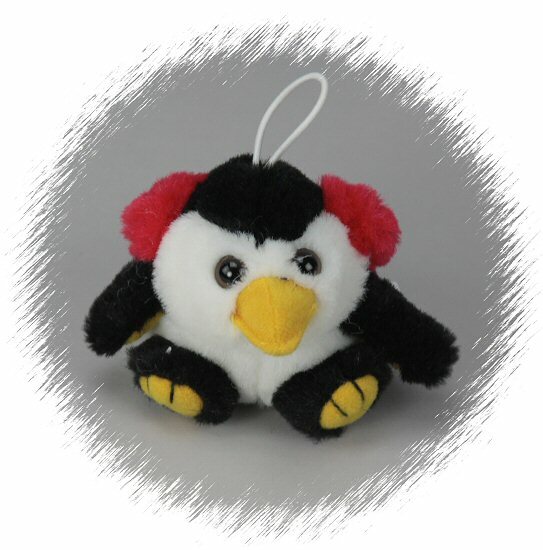 Ready for cold with his bright red earmuffs, this cute little Cushy Kids stuffed penguin has soft white and black fur, yellow-orange accents, and warm brown eyes. The elastic loop makes Cushy Kids plush penguin Baby Shivers a great take-along friend. Baby Shivers plush penguins not only make wonderful gifts, but they are also perfect as ornaments, package tie-ons, and birthday bag favors.